Vintage Crime/Black Lizard, 9781400030484, 336pp. In a riveting tale of intrigue and betrayal, a journalist and his aide infiltrate Afghanistan on the eve of the American invasion. Skelly, a jaded war correspondent, is looking for one last scoop. Najeeb, his translator and guide, is an educated young man from the Pakistani-Afghani border with a secret past, a history with the Pakistani secret police, and his own motives for this risky adventure. Together they join a Warlord’s caravan as he seeks to start an uprising that will liberate the country from the Taliban. Along the way, they stumble onto what they think might just be the story of a lifetime. What they find is a shady world of hidden agendas, shifting allegiances, and sudden betrayals--a world where one wrong move would get them both killed and the only hope for survival lies in their loyalty to each other. 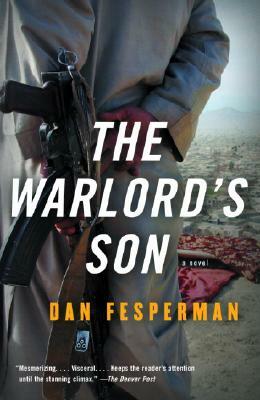 Dan Fesperman is a former foreign correspondent who worked in Baltimore Sun’s Berlin bureau during the years of civil war in the former Yugoslavia, as well as in Afghanistan during the recent conflict. Lie in the Dark won the Crime Writers Association of Britain’s John Creasey Memorial Dagger Award for best first crime novel, and The Small Boat of Great Sorrows won its Ian Fleming Steel Dagger Award for best thriller.